It’s a delight to see the creations provided by the cognac houses for the annual La Part des Anges auction. And it seems that the cellar masters manage to surpass themselves year on year. The 2014 offering from the House of hardy cognac »”>Hardy Cognac certainly steps up to the mark. 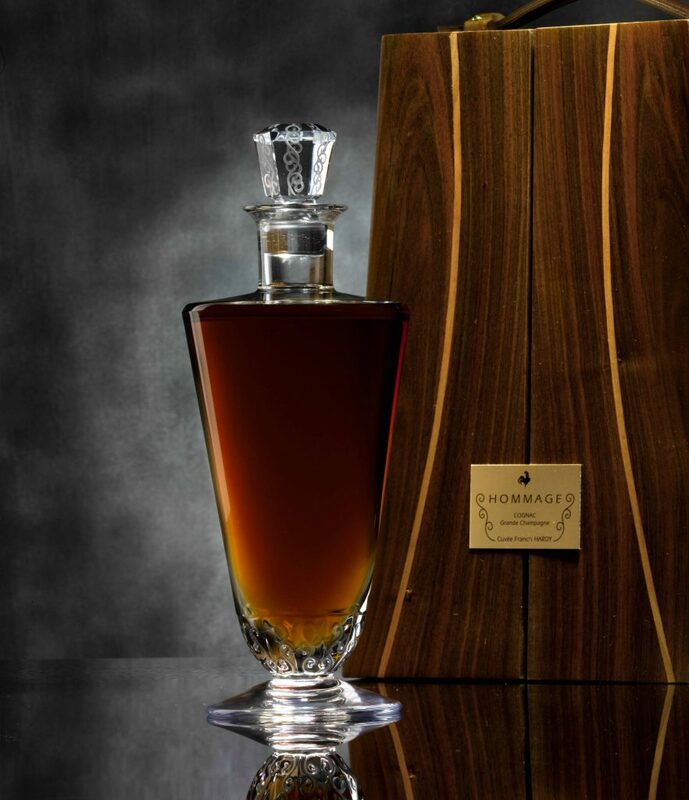 This is a cognac dedicated to Francis Hardy, Maitre de Chai at the house from 1946 to 1973, before embarking on a political career that saw him standing as Mayor of Cognac for 20 years. It’s a Grande Champagne cognac, blended from premier cru eaux-de-vie dating to before the Second World War. When Hardy began sampling the wines that were to become part of this cognac at the beginning of the 1970s, they were already aged over 50 years. The cognac is presented in a gorgeous Crystal decanter Lalique. It’s modelled on a design created by Marc Lalique in 1965. This in turn is safely encased in a tactile walnut casket. The estimate for ‘Carafe Hommage’ to reach at auction is around 6000 Euros. Cognac Expert will naturally update you with the finishing price of this and all the other Cognacs on offer just as soon as the auction is over.